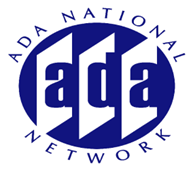 On June 17, 2008 the U.S. Department of Justice, Civil Rights Division published the long awaited proposed regulations to revise the Department's ADA regulations for State and local governments and public accommodations and commercial facilities, including its ADA Standards for Accessible Design. This special 2 hour session provides individuals an opportunity to learn more about the proposed regulations and direct specific questions to the U.S. Department of Justice. This session will be recorded and a written transcript will become part of the public record for consideration as the U.S. Department of Justice moves forward with the rulemaking process.